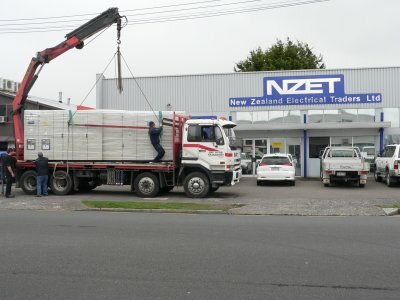 New Zealand Electrical Traders Ltd (NZET) are manufacturers of Bray Switchgear. We are recognized Industry Leaders in Industrial and Commercial Switchgear Design & Manufacture. NZET has been manufacturing switchgear in Tauranga since 1993. We are located in Tauranga, Bay of Plenty, New Zealand. Our client base extends thoroughout New Zealand in a number of industries including forestry, marine, dairy, Kiwifruit, industrial refrigeration, heating & ventilation (HVAC) systems, commercial building developments, aggregate plants, waste water treatment plants, water treatment plants, hospitals, ports and a variety of industrial processing plants. We are accredited manufacturers of LOGSTRUP Electrical Switchgear Systems suitable for heavy duty industrial applications. We also manufacture QUANTUM Switchgear Systems suitable for commercial or light industrial applications.